Make sure you give us a call and ask about our Firewood. PICKUP or DELIVERY is available! 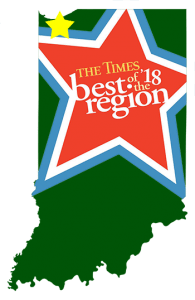 As one of the areas most trusted landscapers, we proudly service Northwest Indiana region with complete landscaping, sod installation, brick patios, irrigation and any other type of landscaping project. We are your ultimate landscaping and garden center headquarters. R.A.L. Landscaping doesn’t just the serve the community in the spring, summer and fall…we provide snow plowing for those customers who need it. Offering both residential and commercial snow removal services, we can help make those tough Northwest Indiana winters a little more bearable. Please contact us for a quote. With a wide selection of bulk materials like stone, dirt, sand and mulch, we have what you need to complete your project. Please click the below link to access our Employment Application. A new window will open and the .pdf will download. Thank you!